The international dating scene is less developed in Belorussia than in Russia and Ukraine. That is why you will see fewer ladies from Belorussia on the dating and matrimonial sites. This is partly because of the population of Belarus that is much smaller, if compared to Russia or Ukraine, but also because of the fewer agencies, social tours and the like in Belorussia. If you are the one willing to avoid the big cities of Ukraine and Russia, then you should meet brides from Belorussia. If your interest falls on great romance tourism, then you better stick to Russia and Ukraine. If you seriously wish to meet a Belarusian girl for marriage, there are some basic ‘rules’ to follow to be successful. Stay patient. Nothing comes quickly, especially in on-line dating. However, there are couples, who have met each other right after they have posted their profiles on the dating websites. But these are the rare cases. They are an exception that just proves the general rule. Stay motivated, do not lose your hope, enjoy your dating experience and find out more on how you can improve it, if the results you are getting do not make you happy. Use only trustworthy dating sites. The reputable dating sites will work for your benefit and not simply rip you off. They guarantee the ladies that are registered at their sites are genuine, not married and are seriously interested in marriage with a foreign man. These sites offer a high anti-scam policy that is great as you can enjoy your communication in a stress free ambiance. 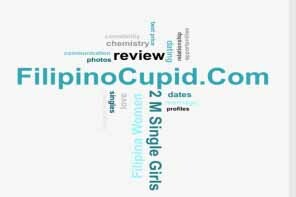 Reputable dating sites offer you more services that offer you a more interactive communication and allow you more freedom in showing your lady she is special and how much you care for her. Be thorough and smart in your dating experiences. Even if you join a trustworthy and reputable dating website, you need to remember that we are all humane and that scammers in romantic filed become more inventive. That is why you should be careful and attentive whom you speak with and what things you discuss. Always be attentive to what your ‘date’ writes and try to get to know her better. If there is something that worries you, then you better stop your communication. Never provide any information that will help her to identify you and never ever send her money. You are not yet at that stage of the relationship for you to help her. These are some basic ‘rules’. Always listen to your gut feeling and when you feel bad about anything, you better leave it. Get ready for the cultural and language challenges that you will face. Though meeting a lady from another country and cultural background is exciting, it is also very challenging. So, you need to do your ‘home work’ about your lady’s country, language spoken there, culture, customs, traditions and the like. We believe you don’t want to seem rude or uneducated when you meet your special one in person. On the contrary, if you try to speak several phrases in her language, show you know her country’s traditions, and courtesy customs, you will get more chances in romancing her. If you make a mistake in this part, you should apologize and ask your future wife to help you to learn new things. Be open to embrace her culture and you will be rewarded beyond your expectations with a happy and harmonious relationship. When you meet brides from Belorussia prepare yourself they will compare you to men in their own country. Do you really know what you are up against? What will it take for her to decide that you are the only one for her? Are you the man for whom she will leave her family, friends and country behind? 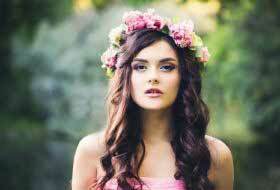 To find answers to these questions, read more articles dedicated to dating Slavic women.